Max is a big PR executive, he has a great job, a great house, he seems to have it all. 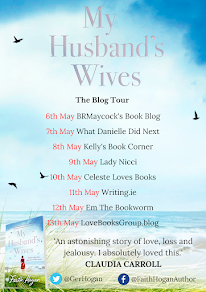 Meanwhile, Sandy is a runaway, who after a series of bad luck, finds herself homeless. Everyday at the same time, Max brings Sandy a cup of takeaway coffee and a sandwhich, and sometimes even a bun. But when Sandy takes up her usual spot to wait for Max and he doesn't show for the fourth day in a row, Sandy decides that something is wrong and she sets out to find Max. As Sandy sets out to find Max, she soon realises that they have more in common than they think. And in the process Sandy also finds herself. What I liked about this book was that it changed between the two characters often. It also gave a bit of background information on both characters as the book progressed and hinted at little secrets from both of their pasts. I loved how I instantly feel in love with both characters, but the character of Sandy particularly. I liked her more and more as the story progressed and she came out of her shell more and more. This story really struck a cord with me because it is such a real story that rings true on every page. 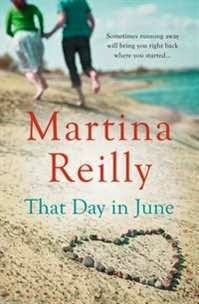 Of all of the Martina Reilly books I have read, this is my absolute favourite. This is Martina at her absolute best, this is her masterpiece. She has struck gold with this beautiful heart warming story. I can't recommend it enough.